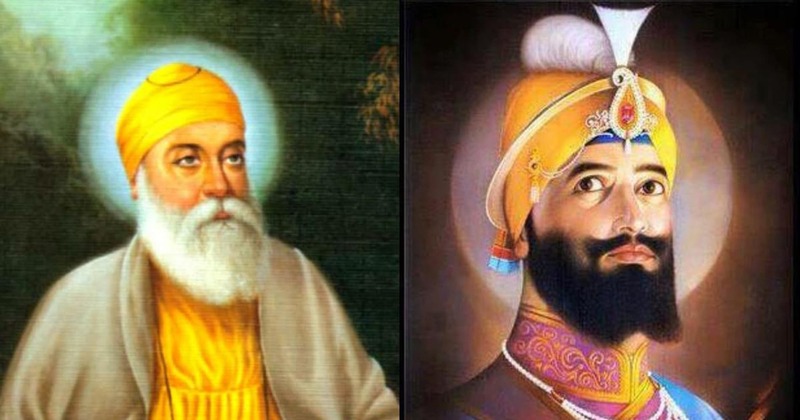 Nanak to Gobind Singh: How did the attire of Sikh gurus change so dramatically? Nanak's attire was meant to obfuscate his religious identity but Gobind's clothing was meant to make him stand out. My first memory of these images comes from a visit I made to Nankana Sahib 10 years ago, on the occasion of Nanak Jayanti. 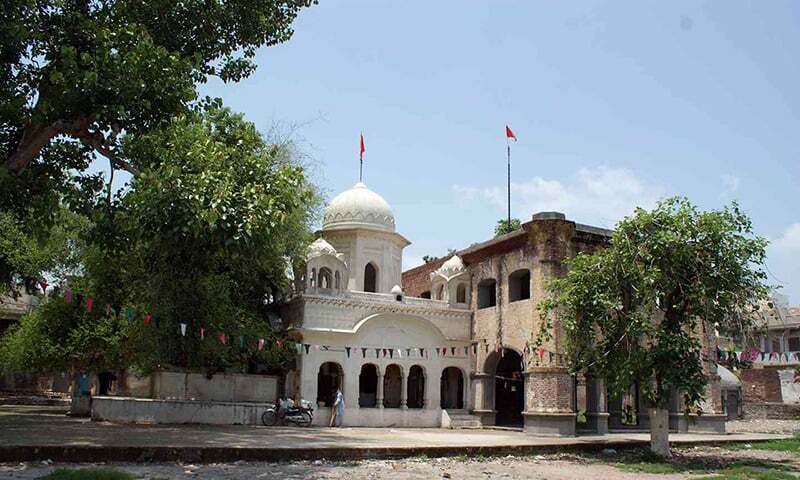 The façade of Gurdwara Janamastham, which came up at the spot where Nanak was born, was brightly lit up, with a giant banner hanging at its entrance. On one side of this banner was an image of Nanak, his right hand held up in blessing. He had a thick white beard and wore a saffron robe. His shoulders were draped in a brown shawl and he wore a turban tied in the simple Dumalla style. This is a ubiquitous image of Nanak. It is, of course, hard to say for certain if Nanak actually dressed like that. In 2006, there was a controversy regarding his depiction in school textbooks in California. The image used in these texts was a 19th century painting of Nanak in which he wore a crown and had a trimmed beard. This was criticised as an Islamicised version of Nanak. After the Sikh community protested, the image was removed. Still, it is hard to say what Nanak really wore and what style of beard he kept. There is a narrative that suggests Nanak deliberately chose a garb that would make it difficult for people to associate him with any one religious identity. It was aligned with what was to be his philosophical message: there is no one exclusive path to truth, neither Hindu nor Muslim. Nanak is known to have worn a long robe, similar to the ones Muslim dervishes wore. But instead of green, his robe was ochre, the colour of the Hindu sanyasi. He wore a white cloth belt around his waist, similar to that of faqir (a Sufi ascetic), while a short turban covered his head in the style of the Qalandars (wandering Sufi dervishes). He wore wooden sandals favoured by devotees of all religious denominations. These narratives suggest that Nanak’s clothes were an extension of his message that saw truth as a culmination of all religious philosophies, syncretism and a dilution of rigid religious identities. On the other end of the banner was a depiction of Gobind Singh, who is believed to have completed the spiritual movement that Nanak began. Staring into the distance, he held a white falcon in his left hand. He wore several necklaces and a bejeweled turban, and carried a bow on his shoulder. His beard, slightly shorter than Nanak’s, was jet black. The two images cannot be more different, and yet they are seen as part of the same tradition. After Nanak, each subsequent guru carried within him the essence of the first guru. 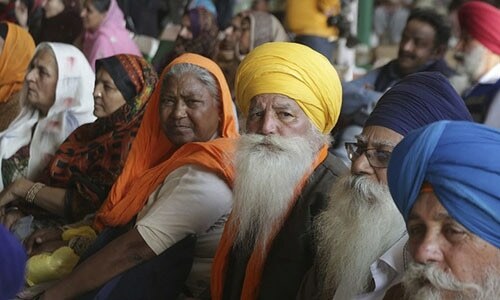 In the process, they too became Nanak, which is how they are referred to in the Guru Granth Sahib, the living guru. But how did the image of Nanak with his simple clothes transform into the grandeur of Gobind Singh? At the time of Nanak’s death, his followers were limited in number and geographical space. With every subsequent guru, the number of followers increased as did the guru’s political influence. But every guru after Nanak was challenged by rivals — some of who were sons of previous gurus. A tussle erupted, leading to the execution of Arjan, the fifth guru. 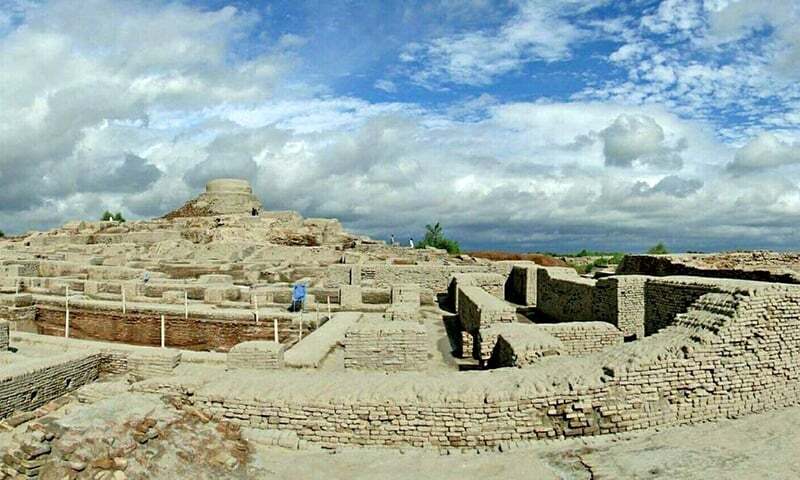 According to one narrative, he was put to death on the orders of Emperor Jahangir through the machinations of Arjan’s brother Prithi Chan, who wanted the institution of the guru for himself. It is here that the institution of the guru experienced its greatest threat. How was a group of unarmed devotees to combat the mighty Mughal empire? Thus emerged Hargobind, the sixth guru, who was Arjan’s son. It was during his time as guru that an elaborate turban replaced the simple headgear worn by the previous gurus. The bejeweled turban was intended to be a crown. Hargobind wore necklaces of precious stones, and had two swords at his waist. This was the first time a Sikh guru had taken a weapon. The swords represented the concept of miri-piri or temporal and spiritual power. He sat on the Akal Takht or the Eternal Throne and his followers defiantly called him the sacha padshah. Jahangir might have been the emperor of the Mughal empire, but Hargobind was their true king. The execution of Arjan had transformed the institution of the guru and also heralded the beginning of contentious relations between the Mughals and the gurus. A few decades later Tegh Bahadur, the ninth Sikh guru, was executed in Delhi by Emperor Aurangzeb. This was when Gobind Singh, the grandson of Hargobind, emerged to become the 10th Sikh guru. Like his grandfather, Gobind Singh became the head of the Sikh community at a tumultuous moment. This is possibly why he modeled his attire on Hargobind’s regal style. Interesting and well observed. One other important fact was the different social challenges during the era of both these Gurus. The Prophet and the warrior persona perhaps justified. Thanks Haroon for sharing your research in a very mild, non-religious tone. I pray all Pakistanis can respect difference in faiths. I really enjoyed to read this article. But it look like that dress of both Gurus is figment of imagination of painters-most notably Sobha Singh whose paintings of both Gurus you can find in every Sikh household. Some even pointed out that Baba Nanak's face was painter's own image. Thank you Haroon Khalid for lovely writing of my GURUS. Impressive - well researched article! What we were taught in school was that Guru Gobind Singh wanted Sikhs to stand out and be fearless. An interesting article on how ground realities shape religion and versa. Very nice article as usual by Haroon. Thanks. Only one correction, the name of eldest brother of Guru Arjan Dev ji was Pirthi Chand and not Chan as mentioned. Very nice article by Haroon as before. Thanks. Just one correction, the name of eldest brother of Guru Arjan Dev ji was Pirthi Chand and not Chan as mentioned. We are aware of their sacrifices, and the Mughal rulers who made them suffer, and for what reasons. A Excellent article written by Harron. Good to know how the Sikh religon flourished in Indopak. Excellent article. I am great fan of Dawn .Dawn is part of my daily routine where i get most of the times a very unbiased information. Guru Nanak was a saint, a philosopher, a guide, on the contrary Gurugobind singh ji was a righteous king, a warrior. Great, Haroon!! In fact, I (a Hindu Indian Bengali) always wondered like this. This trend was perhaps emulated by the Hindu monk Swami Vivekananda - himself a great admirer of the Sikh Gurus. While his Guru, Ramakrishna, wore very simple 'Dhoti' in a style and color not in anyway indicative of Hinduism, Vivekananda chose to wear a head-gear (pugri) and a dress which made him look more commanding and dominant. Congratulations to Haroon Khalid and The Dawn for bringing this master piece. Thanks. Interesting nd well drafted, thanks for bringing this ! Brief and very well written!! Dear Khalid you are real embodiment of Indian Subcontinent.Your research oriented writings on religion,culture,civilization and peoples life and living is definitely great contribution. This makes for harmony in face of apparent diversity,peace and love.Thanks. Initially it starts as sainthood later disciple takes the advantage of popularity, he becomes master . @Arya I agree with you. None of these painting are true. Sikhs do not believe in the paintings of their Gurus. Mostly there are forbidden from the gurdwaras. Excellent article as usual, but I was expecting more.